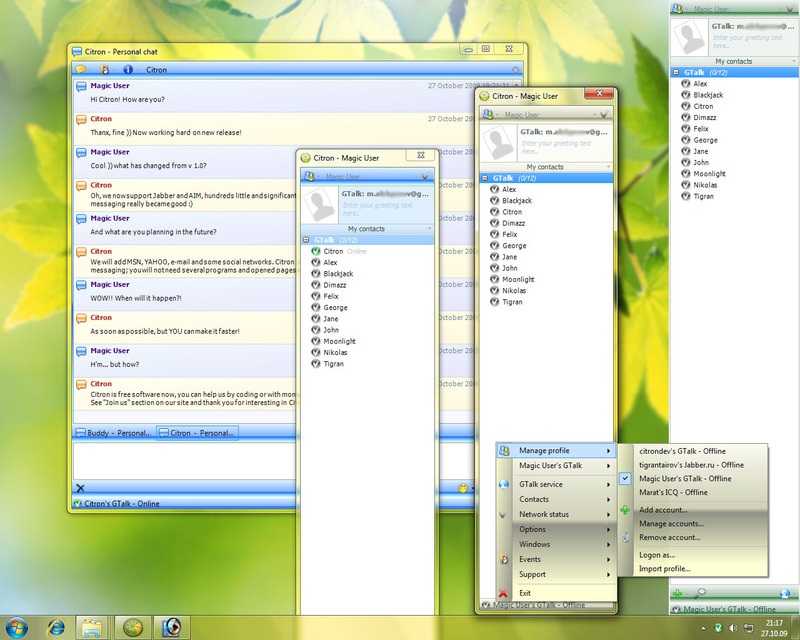 Multi-protocol instant messenger Citron now supports Jabber (Gtalk, LiveJournal and other jabbers) and AOL(AIM, ICQ) networks. As soon as MSN and Yahoo will be added. 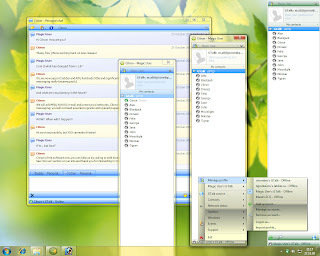 The first release of Citron messenger v 1.0 was made in march 2009, but this was an alpha version. This new release is version 2.0 and it's the first normal public release. Hundreds of UI and kernel improvments were made. Requirements: Microsoft Windows 7, Microsoft Windows Vista, Microsoft Windows XP, Microsoft .NET 2.0 (If it is not installed (unlikely), it will be downloaded (22,5 Mb) and installed).